Baccarat Petite Corona presents sweet, creamy, and woody flavor and a smooth, mellow body in a traditional 5 1/2 x 42 Petite Corona vitola. I've been smoking the Baccarat Petite Corona's for years. Way too many every day. They are a little sweet to begin, but that quickly disappears with a nice mild flavor. Mild smoke. good for the price. Sometimes it burns unevenly. Mild and very good for the price. will buy it again, everything match my needs! I have been very happy with the prices and how quickly the items are delivered. I prefer a mild cigar and favor the corona and/or petite corona size. My humidor usually consists of some Macanudo Hampton Courts, CAO Gold, AVO Notturnos, and a few "I'll pick these up to try them" choices. 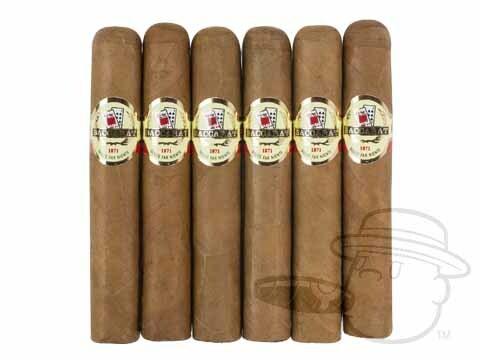 I came upon the Baccarat Petite Coronas in the Best Cigar catalog pages under mild cigars. Since trying them, they have become a staple in my humidor and ,pretty much, my go to cigar. The price is very reasonable for a quality smoke. Again, mild, a slight sweetness to the wrapper and a little spice to the flavor. If you like a mild stick, give these a try! I really enjoy the mild flavour of them. Really nice smoke. Sweet wrap and a smooth draw makes for a very pleasant mild cigar. Grab a box for poker night. Outstanding size, taste, look, and of course - price. Just the perfect mild cigar. consistent smooth smoke, well constructed & good draw. Just enough for quick smoke and smooth flavor. Really like these cigars but they are getting expensive I may. Have to look for a replacement. Just a nice, easy smoke. Love the sweat tip. Perfect for 9 holes on the golf course. Baccarat Petite Corona is rated 4.1 out of 5 based on 24 customer ratings.